The theme of family has always been a major element of Star Wars and an essential aspect of Star Wars Rebels. 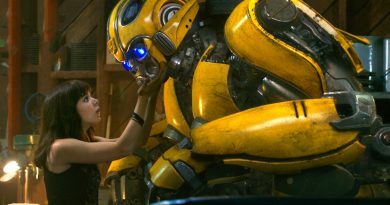 The crew of the Ghost interact and support each other like a family, while the search for a family is what drove our heroes together. Obviously Ezra Bridger, orphaned by the loss of his parents, found a family with the rebels, and so did Zeb who had lost his entire race. 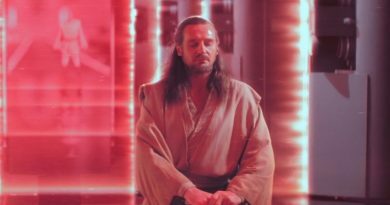 Each member of the team has lost family and found a new one, be it the Jedi Order or a partisan father. As a result, Rebels most powerful episodes often revolve around the theme, such as “Homecoming” or “Legend of the Lasat.” “Trials of the Darksaber” is no different, and in fact might be the best of the lot. Sabine Wren has always been a bright spot on Rebels, providing colorful cues, be it explosions or paint jobs, and has built a place for herself as one of the best fighters in Star Wars, regardless of gender. She has redefined the face of the Mandalorian warrior, figuratively and literally, and like Kanan, exists as something of a bridge between the stories of the prequel trilogy and the original. That any episode which has focused on her has been an entertaining one is unsurprising, such as “Blood Sisters,” and when they fail to do so, it can lead to disappointment, as in “The Antilles Extraction.” It’s the latter episode which benefits from “Trials of the Darksaber,” because “Trials” provides the missing background from that episode in a far superior vehicle and it delivers it with dramatic gusto that lifts not just Sabine’s character up, but those around her, too. From the beginning of Season Three, viewers were put on alert that it would be a significant season for our colorful Mandalorian. It was stated as such at Star Wars Celebration Europe by series’ executive producer, Dave Filoni, but it was also appropriately painted on her armor in the form of a convor bird on her shoulder. The same bird was featured in the final two episodes of Season Two, including a prominent role in the season’s powerful closing montage, and as some are speculating, may play a role in Episode VIII. 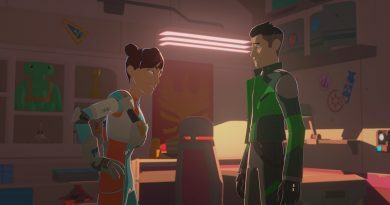 Nonetheless, Sabine was marked from the beginning for something important, and that importance has grown as the place of Mandalore has expanded in the show’s field of vision. Mandalore played a significant role in The Clone Wars with a series of story arcs taking place across several of its seasons, as the Duchess Satine sought the help of the Jedi to handle threats to a new pacifistic Mandalorian society. Those threats initially came from Death Watch, led by Sabine’s cousin, Pre Vizsla, who not only introduced a fierce determination to cling to the self-destructive ways of old, but also the Darksaber, a lightsaber taken from the Jedi millennia ago. The other threat, notably for Season Three, was Darth Maul, who successfully overthrew Duchess Satine and Pre Vizsla, by defeating him and taking possession of the Darksaber, which served as the symbol of leadership for not just Death Watch, but for Clan Vizsla. Echoes of these threats are now substantive storylines in Season Three, from “Imperial Supercommandos,” which didn’t just bring up the state of Mandalore and the Empire but revealed that the Imperial Viceroy over Mandalore was a former member of Death Watch. Then the more recently aired “Visions and Voices” pushed Maul off on his final act of revenge and returned to Mandalorian hands for the first time, the Darksaber. 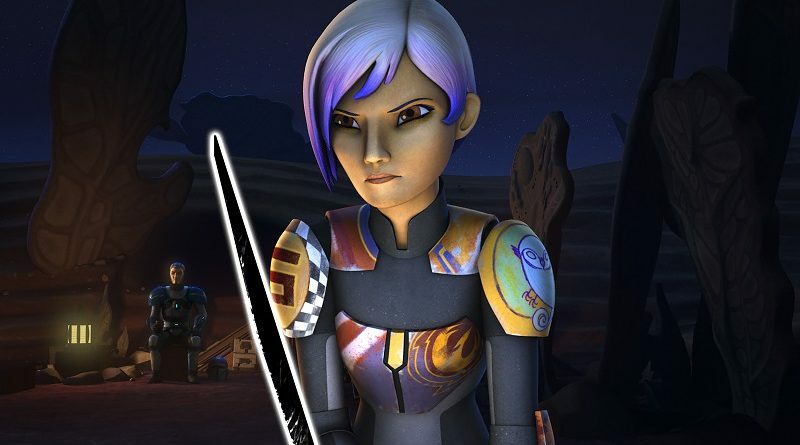 It’s what the Darksaber means in the hands of Sabine Wren which is the focus of “Trials of the Darksaber.” As the daughter of Clan Vizla’s leader, Sabine’s mother, the Darksaber would give Sabine an irrefutable level of legitimacy as a leader to her family’s clan, as well to many Mandalorians. But like Rey in The Force Awakens, Sabine isn’t ready to take up the lightsaber with so much attached to it quite yet, and her journey to accepting it is what makes the episode incredible. It begins with Sabine’s reluctant decision to learn to use the Darksaber under the tutelage of Kanan to help the rebellion, which also sets into motion the side story of Kanan having to learn how to teach a Mandalorian, gifted in all forms of combat, what it means to wield a lightsaber. Kanan takes Sabine to the same place the Bendu taught him to open his mind and grow closer to the Force, two things he believes are critical if Sabine is to be proficient in the legendary weapon. The lessons do not go well and it creates the opening for one of the best parts of “Trials of the Darksaber,” conversations between Hera and Kanan on how to teach Sabine. The conversations do two things at once, it allows for some insight into Sabine when she first joined the crew “hurt,” but it also provided for examples of Hera giving Kanan extremely useful advice while informing their own relationship as two people who strongly rely on each other. Kanan’s ultimate success with Sabine occurs because Hera guides him based on her own past, referring back to both “Homecoming” and “Hera’s Heroes,” as a daughter driven by her own beliefs away from her those she loved. It’s this pain that builds the bridge to connect Sabine to the Darksaber and its recognition which allows her to accept not just the weapon, but her own destiny. It’s a tragic pain which runs deep into Sabine’s past, which Kanan draws out and forces her to deal with as he spars against her, lightsaber to lightsaber. Delivered through incredible acting by Tiya Sircar, Sabine confronts the fact that she was not just a defector from an Imperial academy, but had worked with the Empire to build terrible weapons. Weapons, we learn through Sabine’s tearful admissions, which had been turned upon her people by the Empire. Sabine’s prodigal ability with weapons had become the tools of oppression, made heavier by the fact that her family chose to side with their oppressors rather than join her against the Empire. 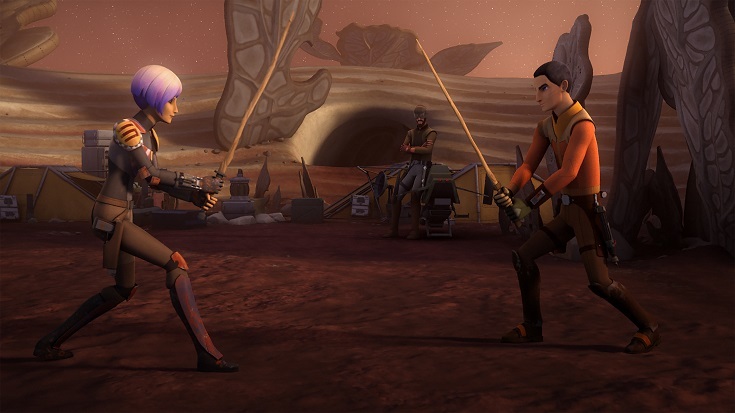 Of all the backgrounds for the heroes of Rebels, none are as personally tragic as Sabine’s, as she fights in part in penance, in addition to fighting to free the galaxy of the Empire. By the end of the sparring, Sabine not only demonstrates an ability to wield the Darksaber deftly, but that she has come to terms with what happened in her past and is prepared to try again to convince her people to resist the Empire. “Trials of the Darksaber,” stands out among three seasons of Rebels because of its dedication to its characters, be it those in the forefront of the episode like Sabine, or those in supporting roles, like Hera, and through remembering the theme of family is central to those characters. The best episodes often involve simply letting the characters speak to one another, and more often than not, regarding things lost and finding support in the friends they have surrounded themselves with. “Trials of the Darksaber” does all of this, and as a result, succeeds brilliantly. WOW! what an Episode (Trials of the Darksaber) that would have to be one of my Fav eps from all seasons so emotional Go Sabine!